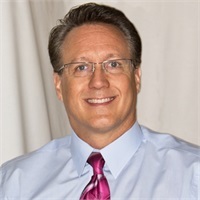 I am Rick Reding the President of Pinnacle Resource Management, Inc. (PRM) a full service financial advisory firm based in Reno, NV. In a sea of financial noise, the steady, simple concepts in our planning approach have garnered many fans for us over the last 29 years. We focus on finding tools that are designed to create higher sustainable income without the anxiety of just riding the ups and downs of the equity markets. This is mainly due to our ability to identify innovative financial tools and strategies to deal with an increasingly complex investment world. Often, the same kind of tools that many of the world's financial elite use to grow and protect their own money. Dr. John Maxwell said it best "If you see a turtle sitting on a fence post, you know he had help getting there." Well, we are no different and owe all of our success in thinking out of the box to many brilliant people who have gladly shared their insights with us and our clients over the last 25 years of business. Pinnacle as a firm has access to an impressive stable of advanced tax planning attorneys, CFPs, and CPAs who together specialize in utilizing every possible legal strategy to help individuals keep more of their hard earned money. We provide a true total planning solution for business owners or individual investors! Without quotas, proprietary products or one a size fits all methodology! If you are tired being talked to and are ready to be educated about how to be a more savvy investor, give us a call! Series 6, 63, 22, 62 and 65 Investment Advisor Representative. Securities and Advisory Services offered through Madison Avenue Securities LLC (MAS), member FINRA/SIPC, and a Registered Investment Advisor. PRM, MAS and Financial Freedom Radio Network are not affiliated companies. Call to schedule your confidential strategy session today!